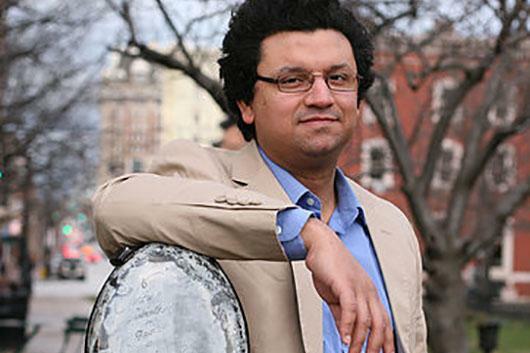 Award-winning cellist Ismar Gomes has performed internationally as a chamber musician, and soloist. Hailed for his "impressive virtuosity, energy, and a handsome tonal range" (Berkshire Review), he has established himself as a captivating young artist, delivering exciting and innovative performances. Mr. Gomes has appeared at the Walla Walla Chamber Music Festival, Evolution Contemporary Music Series, String Fest, Le Petit Salon, Early Music at St. Mark's, and Old Town Hall Concerts, and many more. His recent collaborators include members of the Pittsburgh and Baltimore Symphonies, and the Saint Paul Chamber Orchestra, as well as members of the Johannes, and Brentano Quartets. Also in demand as an orchestral player, Mr. Gomes was the Baltimore Symphony's Fellow for the 2015 - 2016, and is a member of both the Virginia Symphony and the Delaware Symphony. Always engaged in performing and commissioning new works, he has given 50+ world premiere performances. Among these exciting adventures, in 2014 Mr. Gomes made the premiere recording of a chamber opera by Pulitzer Prize winner David Lang, performing with the Harlem Quartet and guest artists; the recording was a Grammy nomination finalist. Mr. Gomes is Faculty Artist at the Rushmore Music Festival, the Baltimore International Piano Festival, and CelloSpeak.